After defeating the Sea Zombie, sixteen-year-old Cyrus LongBones has a plan to rescue his stranded village. He sets out in search of the Yeti Kingdom, but instead is taken prisoner in hostile territory. 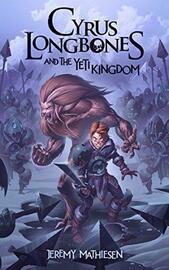 Cyrus discoverers that an evil being, known as the Queen, has crushed the Yeti Kingdom and captured its people. Cyrus breaks free of his prison, committing murder in the process, and is chased into the mountains. He must find this Queen and the missing yeti if he is to rescue his village, but will the yeti help a murderer, and is Cyrus prepared for the Queen's true identity?